Lee Brice (born June 10, 1980 in Sumter, South Carolina) is an American country music artist. Signed to Curb Records' Asylum-Curb division since 2007, Brice has released four singles to country radio, all four of which have charted on the Billboard Hot Country Songs charts. Brice has also co-written singles for Garth Brooks, Tim McGraw and Adam Gregory. 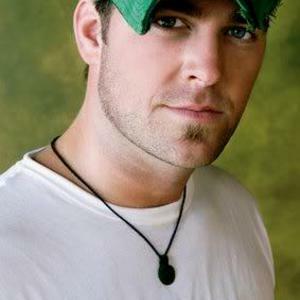 Lee Brice was born June 10, 1980 in Sumter, South Carolina. As a child, he learned to play the piano in addition to singing in church and writing his own songs. He entered and won three different talent contests in high school. Later on, Brice attended Clemson University on a football scholarship. He played special teams as the long snapper, but after an arm injury, he decided to focus on a country music career instead. By 2007, he began working as a songwriter, with cuts by Jason Aldean, Keith Gattis and Cowboy Crush among others. Brice, along with Billy Montana and Kyle Jacobs, co-wrote Garth Brooks' 2007 single "More Than a Memory", a song which became the first single in the history of the Billboard Hot Country Songs charts to debut at Number One. Also in 2007, Brice signed to Curb Records' Asylum-Curb division, releasing his debut single "She Ain't Right," which peaked at #29 on the same chart. It was followed by "Happy Endings" and "Upper Middle Class White Trash" at #32 and #44, respectively. All three songs were to have been included on an album entitled Picture of Me, which was never released. Brice also continued to write songs for others, including Canadian singer Adam Gregory's singles "Crazy Days" and "What It Takes." He also appeared on Cledus T. Judd's 2007 album Boogity, Boogity - A Tribute to the Comedic Genius of Ray Stevens, singing duet vocals on a rendition of the Albert E. Brumley gospel song "Turn Your Radio On." In August 2009, Brice charted with his fourth single, "Love Like Crazy," which is the first release from his debut album of the same name. Brice also co-wrote labelmate Tim McGraw's 2010 single "Still." "Love Like Crazy" reached Top Ten on the country music charts in July 2010 during its forty-sixth week on the chart, setting a record for the slowest climb into the Top Ten in that chart's history. "A Woman Like You", Lee Brice's first single from his sophomore album was released on October 4, 2011. (A Woman Like You Songfacts).